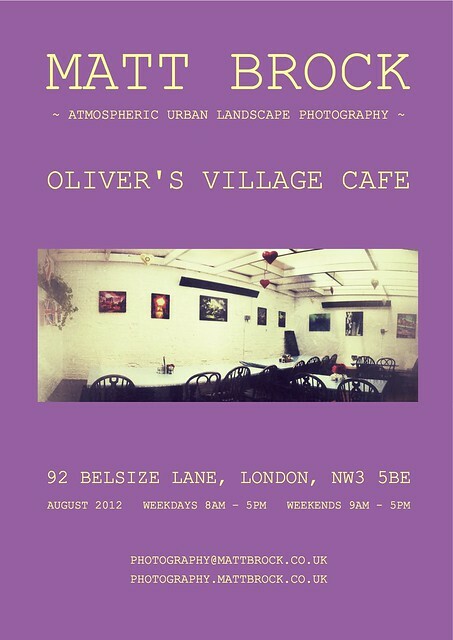 Following the success of my solo exhibition at Cafe Seventy Nine in Primrose Hill last year, an exhibition of my photos is now on at Oliver’s Village Cafe, Belsize, London. All prints are pure iPhoneography/mobile photography. If you’re in the area during August then check it out! They serve great tea, coffee and food too. Matt Brock is a Freelance SysAdmin, DevOps and Infrastructure Consultant based in London, UK with over 20 years of system admininistation experience.